The Mac Factor Blog: And So It Begins!!! ﻿﻿ My new StrongSideTactical.com sponsored AR15 rifle build hit the ground this past weekend. I received some super high quality components in the mail from the guys last week. I've begun documenting this build on the YouTube channel, but here are some highlights on what I'm trying to accomplish here. 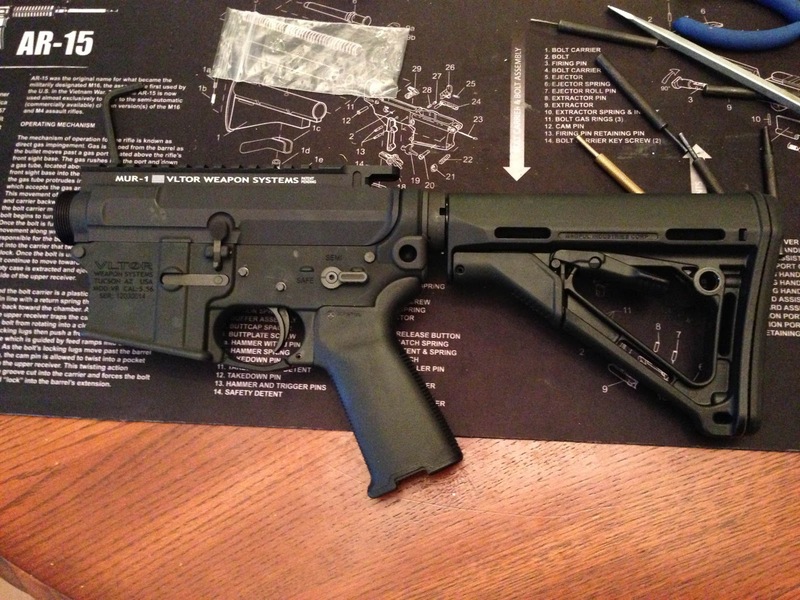 Please take a moment and check out the videos as I build each part of the rifle. Also, if you've ever wanted to build an AR15 rifle yourself, this is the perfect opportunity to follow along. So let's talk about a 3-gun rifle. Will any old carbine do? Yes. You'd do perfectly well with a lock-stock Colt LE6920 with iron sights. It is, as they say, the "man behind the machine" that matters. But you do want to give yourself every edge possible, and to be honest, the guys who finish at the top of the leaderboard in Las Vegas at the 3GUN NATION finals don't shoot stock Colt 6920's. There is a recipe for success here, with a few minor ingredient changes here and there. If you didn't already know, StrongSide Tactical's mission statement is to provide top-shelf quality, teir-1 rifles and components to shooters. That makes me one fortunate dude here, because I can get every part I want for this rifle from their website, and I know that the components in my competition rifle are bomb-proof and failure-proof. Again, I'll highlight the importance of these parts in each video as I install them. But each was chosen with a purpose in mind and their is nothing extra or unnecessary on this list. When all is said and done, I BELIEVE THIS IS A RIFLE THAT WILL STAND TOE TO TOE WITH ANY MANUFACTURERS "3-GUN MODEL" AND WILL WIN. I hope you'll enjoy this series as much as I will. If this is a type of rifle you'd like to own for yourself and you are interested in Strongside Tactical offering something like this pre-assembled, please let Lewis know. Parts 1-3 are uploaded to the Strongside Tactical YouTube Page and can be seen by clicking HERE.